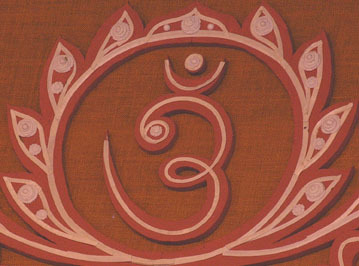 The independent SRV associations were founded in 1993 under the guidance of Babaji Bob Kindler and in cooperation with the national organization, the Sarada Ramakrishna Vivekananda Association of the West, founded by Lex Hixon, initiates of the Ramakrishna lineage and others who share the same universal ideals. The mission of both organizations is to serve humanity through religious education, in the spirit of universality as exemplified by our Ideals, Sri Ramakrishna, Sri Sarada Devi and Swami Vivekananda. The particular feature of the independent SRV centers is participation in the sangha (spiritual community), accessibility to personal spiritual instruction from the guru, and study and implementation of the Sanatana Dharma into our lives. We are a community of spiritual aspirants devoted to the study and practice of Vedanta and Divine Mother Wisdom. The ideals of this ancient pathway to God, exemplified in the lives of Sri Sarada Devi, Sri Ramakrishna and Swami Vivekananda, are: 1) the original and eternal perfection of the Soul and its inherent oneness with God; 2) The manifesting of divinity in our lives; 3) Selfless service of all beings as God, and; 4) Reverence for the ultimate unity of all sacred traditions. As the ancient Vedic phrase says, "Truth is one, sages call It by various names." This is the Advaitic (non-dual) Way. At SRV our purpose is to study (jnana yoga), worship (bhakti yoga), serve (karma yoga) and contemplate (raja yoga) Truth so that spiritual realization may flourish. For this reason, our centers concentrate on the above spiritual disciplines (sadhana), which remove ignorance from the mind by focusing attention on our eternal union with God. For more information please see our teachings page.